Scammers will use any means to extort money from those they deem to be the most vulnerable. Often, they target senior citizens. Many seniors are targeted on a daily basis by predatory scammers and con-artists looking to take advantage of them, and keeping your elderly loved ones informed has never been so crucial. If you’re worried that you or a loved one is being targeted, this guide will help you learn about common scamming methods, how to avoid becoming the target of a scam, how to recognize signs that someone is being affected by a scam, and what to do when you’ve discovered that a scam has taken place. Those looking to commit fraud will use any possible avenue to achieve their goal. Your phone, email inbox, and even your front door can become entryways for those with malicious intent. Because any method of contact can be used to defraud you or your loved ones, constant vigilance is required. Let’s discuss some of the most common methods of contact for scammers. Robocalls and pre-recorded messages: Most people are familiar with those annoying, automated phone calls that implore you to give away your personal information for a promised “free vacation” or some other alluring reward. These illegal calls are designed to gather information in order to steal from you, and robocall scams are on the rise. “Unknown number” or number spoofing: Callers may block their number or use voice over IP software to trick phone networks into believing that they are calling from your area code. Both of these tactics can make it unclear whether the call is legitimate, often leading targets to answer these calls. This opens the door to them being manipulated and possibly scammed. “Official looking” emails: Scam emails are very frequently designed to look like they originated from Microsoft or Apple. The emails may directly ask for your personal information or login credentials, or it may link to a phishing site — a website that tries to steal your information by tricking you into believing it is authentic. Information around your home or in your mail: Scammers may take some time to investigate your home before attempting to scam you. They often look for any stickers, notices, stray mail, and so on from known maintenance or utility companies on your property. Using this information, they will pretend to be an employee to gain access to your home and/or get your personal information. In order to defend yourself or your loved ones, you should get familiar with the strategies fraudsters use to exploit the elderly. Let’s take a look at the the most common scams. Learning about these will enable you to anticipate scams and protect yourself or report a suspicious person when needed. Have you ever received a call, email, or pop-up notification from tech support about a necessary update or software to remove dangerous viruses on your computer, tablet or phone? These “tech support calls” can be a scam. If you get an email or phone call from a person claiming to be from Microsoft or Apple, be wary. Don’t give these people any information. They may be selling malware-laden software or are simply trying to steal your personal information in order to commit identity theft. 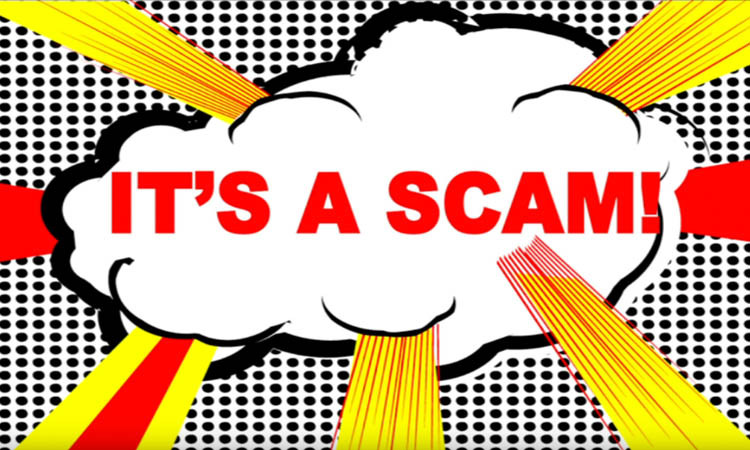 If you get a letter in the mail, a phone call, or an email informing you that you’ve won some sort of lottery — one that you’re unaware you were ever entered into — you may be the target of a lottery scam. The “prize money” is often locked behind supposed customs fees, taxes, and other expenses that you’re responsible for. They’ll often take wire transfers, credit card numbers, or even gift cards to pay these fees. The biggest problem with this is that the prize money doesn’t exist. The easiest way to avoid this scam is to carefully analyze any propositions like this. Some of this boils down to common sense — if you didn’t enter a lottery, it’s extremely unlikely that you would be selected as a winner of one. However, if the lottery seems to be operated by a reputable organization, do some research: contact the group or check their official site for any evidence that the drawing is legitimate. Home repair scams: Scammers often target the elderly, who often have physical limitations preventing them from doing essential home repairs or maintenance. If your property is in clear need of repairs or lawn care, they may offer to handle those issues for you for upfront payment. Instead of completing the work, they’ll leave after taking your money. Utility cut-on scams: Those forced to live without utilities — particularly seniors living in areas that have recently been struck by natural disasters — are commonly targeted by this scam. A person will pose as an employee from your utility company and offer to reconnect services for a fee, only to disappear after receiving payment. Cable reconnect scams: If, after going through your mail, scammers notice that your cable has been disconnected due to non-payment, they may offer to reconnect your cable for a surprisingly low fee. They may actually reconnect your cable — but doing so is illegal. You’ll be stuck with further fees and potential legal action against you if you accept this offer. 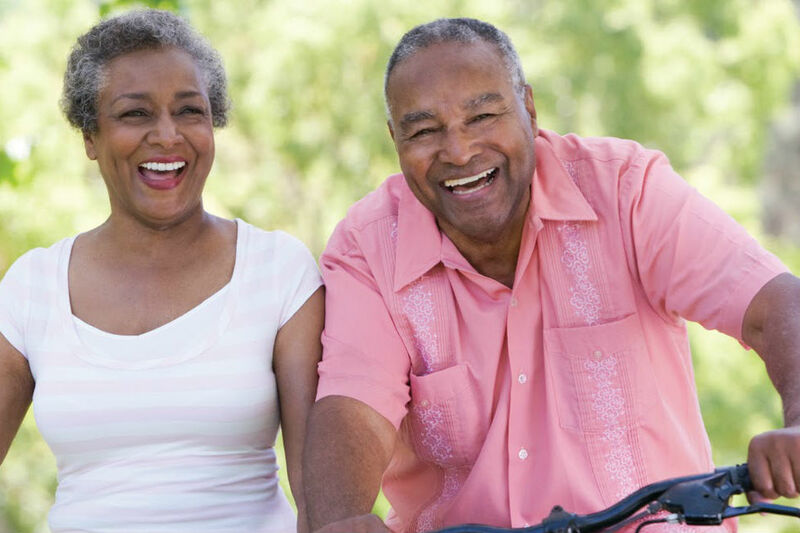 Reverse mortgages, an option for people at least 62 years old, can help seniors (who are often on a fixed income) overcome financial hurdles. Unfortunately, predatory lending practices have led to many seniors being charged unreasonable interest rates. Such loans with predatory rates are often called reverse mortgage scams. Sometimes, scammers may target seniors by falsely posing as representatives from government organizations such as the IRS or SSA. They’ll demand payment for back taxes, for missing jury duty, or for some other false pretense and extort money under the threat of arrest, jail time, or deportation. Using phone number spoofing (as outlined above) and fake badge numbers, a call from such a scammer may even appear to be authentic. Do not pay the imposter, and report any such attempts. Federal organizations such as the IRS don’t contact civilians in this manner to collect debts — they’ll typically make such requests through the mail. If someone claims that they are a representative from the government looking to help you continue your Medicare coverage, be wary: They may be simply looking to get your information in order to commit identity theft. This scam most often takes place during the Medicare “open enrollment” period and disproportionately targets seniors. Only provide information after you’ve verified who you’re talking to. You can call 1-800-MEDICARE to check that you’re not speaking with an impostor. Another type of scam that can harm seniors is romance scams. Malicious users will often target widows or widowers on social media or dating sites, posing as a new potential romantic interest. After taking some time to build trust with the target, scammers will begin to request more information about them, perhaps even soliciting money via wire transfers. Blinded by love, these users will often lose hundreds, if not thousands of dollars in this long con. This is a prevalent problem on dating sites. In fact, 12 percent of all dating site users are conned. In order to avoid becoming a part of this statistic, do not give information or money to anyone unless you’ve verified their identity. Thoroughly research people online, and keep an eye out for any inconsistencies in a person’s backstory; these might be the signs of a fake, malicious user. In a similar manner to romance scams, grandparent scams involve assuming a false persona in order to develop a relationship with a target under false pretenses. In this scam, fraudsters pretend to be the distant relative of the target (or a lawyer presenting the relative) in order to extort money from them for supposedly urgent reasons. This is particularly problematic when the person being targeted has memory-related issues stemming from conditions like Alzheimer’s or dementia. An especially disheartening type of scam, charity frauds and donation scams are very common, particularly during the holiday season. People looking to turn the spirit of cheer and goodwill into personal gain may pose as a collector for a charitable (often non-existent) organization and solicit for donations. Don’t donate before researching the veracity of this organization. If they have a good, reputable track record, you can feel confident that your donations will go toward the cause it is intended to. Furthermore, instead of giving money to a door-to-door collector, opt to donate directly to the organization when possible. Your personal information can be used by fraudsters to impersonate you. Bank accounts, credit cards, loans, and more can be opened in your name, and resolving a case of identity theft can be an expensive and panic-inducing experience. PIN numbers, credit card numbers, your Social Security number, passwords, even email address or mail addresses should all be kept strictly confidential. Legitimate companies will not ask for your PIN or password. You should treat any requests for your personal information with extreme suspicion. When speaking to someone representing themselves as an employee for a reputable organization, don’t take their word for it. Keep notes, always asking for full names, a reciprocal phone number, their manager’s/supervisor’s phone number, badge numbers, ID cards, and/or some form of identification that confirms they are who they say. Research the company on the Better Business Bureau. The BBB will give you an idea of the company’s reputation and give you valuable information to conduct further research. Do not pay upfront for promises. No reputable organization or service should charge you upfront for services regarding debt relief, credit and loan offers, mortgage assistance, or a job. These types of fees, as noted above, are extremely common in scams — and are a sure sign that you need to be cautious. If you are interested in something, ask the representative to send you an offer in writing. This will help you do further research and, if necessary, serve as evidence when you report any potential scams. There is a reason that scammers often accept wire transfers or reloadable money cards/gift cards; they aren’t easily traced. As such, using these methods is risky. Government offices and honest companies will not ask you to use these as a method of payment — they will send you a bill. Read the fine print and be wary of “free” trials. Such “free trials” often aren’t free at all: They may lead to unexpected charges, commitments to months of a service you don’t want to use, or worse. Take a look at customer reviews and check out the business on the Better Business Bureau before accepting any such offers. If you have concerns that a friend, family member, or patient is being targeted or has been affected by a scam, there are signs to look out for. Unusual behavior in regards to finances or contact with strangers could indicate that you need to open a dialogue with the person in question. Sudden financial problems: If a person has an uncharacteristic lack of money — or, worse, they are beginning to leave bills unpaid — there must be clear reason for this change. A financial scam could be to blame. Uncharacteristically secretive about their spending: If communication with an individual hits a brick wall whenever the subject of their spending comes up, they may be trying to hide their spending. Whether they feel ashamed for being scammed or have been manipulated into believing that no one should know about it, secrecy could be another sign that they are being taken advantage of. Excessive withdrawals or expenditures: If you have evidence that the person is withdrawing or spending an inordinate amount of money, and there is no clear reason why, you should be on the lookout for any other signs they are being scammed. An unusual amount of contact with strangers: An excessive number of phone calls, emails, paper mail, or house visits from unknown individuals or companies should put you on the lookout. Scammers often build a sense of urgency through multiple messages to extort money. A sudden fixation with someone new: Long cons often require that fraudsters build a sense of trust with their target, as is often the case in romance scams. Fraudsters groom their targets by building trust, pretending to befriend them, or show romantic interest and try to isolate them from their families. Do any of the scam methods above sound like something you or a loved one has been through? Do you feel like you or they may be the victim of another type of scam? The following advice will help victims protect themselves and minimize the damage the scam can do to them. If you are still in contact with the person you suspect has scammed you, stop the conversation immediately. Don’t answer phone calls from the suspected scammer and don’t reply to emails or messages. Their efforts will be dedicated to extorting more money from you and manipulating you as much as possible, and confronting them will not resolve the situation. Do not make any more payments to the scammer. No amount of money will deter a fraudster or make them go away; if they suspect they can continue to exploit you, they will continue to do so. These are called follow-up scams, and they can cause serious, recurring financial harm to those affected. If you have sent money to a scammer or given them any personal information that could be used against you, call your bank or credit union and explain to them that you believe you are a victim of a fraud. They will freeze any relevant accounts and give you further instructions to protect your identity. Most institutions will have procedures in place to deal with fraud. Check your bank’s website for advice regarding fraud and closely follow any advice they offer. Change passwords for all online accounts. Be sure that your passwords are strong by creating a complex one consisting of letters, symbols, and numbers. Do not share passwords across different sites or platforms; if one suffers a data breach, you can bet that cyber criminals will access each of your accounts using that password. Update PIN numbers. Just as with your passwords, if your PIN numbers are compromised, you’ll need to have them changed as soon as possible to prevent credit card fraud. You’ll may also need to open new banking accounts and be issued new credit cards, depending on the nature of the scam you were subjected to. Change your phone number. Once you’ve been a victim of identity theft, you’ll want to get a new phone number in order to avoid any other attempts at fraud or follow-up scams. Furthermore, since your phone number is needed for two-factor authentication for many applications/platforms, be sure to have your number updated in those places to maintain access to those services. Block the scammer through whichever avenue they contacted you through — such as your phone number, email, or social media profile. This is also necessary in order to avoid future attempts at scams. The malicious user may attempt to create new accounts or spoof a new phone number in order to bypass these measures, so be wary of opening emails, accepting friend requests, or answering calls from unfamiliar sources. The Federal Trade Commission is the ideal place to start when looking to report an act of fraud. You can file a complaint online or at 1-877-FTC-HELP. The FTC Complaint Assistant can give you more information on who to contact depending on the nature of your specific complaint. You’ll also want to file your complaint with the Internet Crime Complaint Center if the crime in question took place online. Complaints to this organization are used to inform cybersecurity efforts from the FBI and other organizations. Contact your local Adult Protection Services. These organizations are dedicated to protecting the vulnerable in the aging community. Slips, trips or falls can happen at any time of life, however, the likelihood of having a fall and the impact that this can have on health and independence becomes more significant with age. Falls are a major cause of hospitalization, especially amongst the elderly. For some people the consequence can be quite devastating resulting in loss of confidence, permanent injury and a restricted ability to lead an active, independent life. 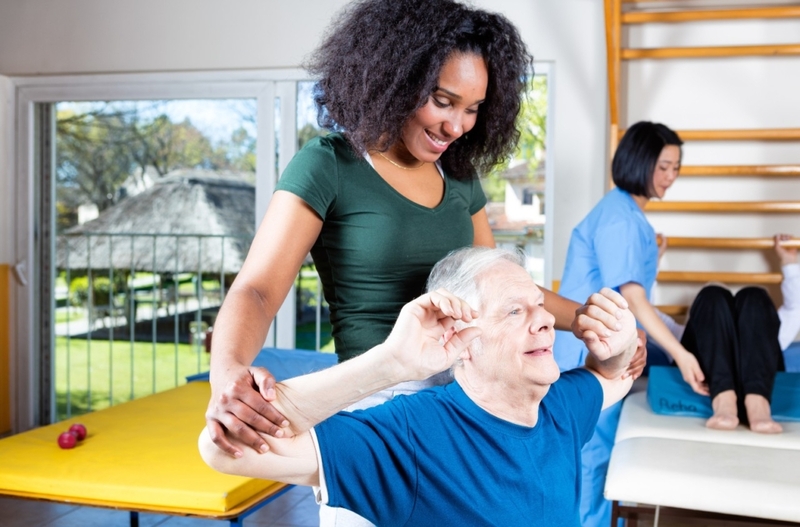 Around 75% of falls occur in or around the home, but many of these can be prevented by being aware of personal risk factors, finding safer ways of performing tasks and making simple and practical adjustments to the home environment to reduce slipping and tripping hazards and improve safety. Ensure that there is good lighting in and around the home and that switches are easy to reach. Sensor lights can be strategically placed along hallways and at entrance doors to help with night time visibility. Glow in the dark products can be placed next to or on door handles, light switches and other objects that may need to be located in the dark. Luminous reflective tape can be used to mark exits, stairs and other hazards. Allow time for eyes to adjust when moving from brightly lit areas to darker areas and vice versa. Decrease glare by adding net curtains. Check carpeting regularly for worn spots or raised patches. Avoid using throw rugs and runners but if required secure them with carpet tape to prevent slipping. Avoid polishing floors with wax or other slippery materials. Use contrast to highlight changes in floor surfaces and depth. Avoid heavily patterned flooring which can obscure small obstacles from vision. Take care when walking through doorways as sometimes the threshold makes the floor surface uneven. Small threshold ramps may help individuals to negotiate these uneven surfaces, especially for walking frame users. Avoid leaving clutter on the floor (books, handbags, packages, toys and so forth), as these may become a tripping hazard. Ensure any electrical cords are tucked under furniture or taped to skirting boards and do not cross walkways. Install stair handrails on both sides of steps and stairs. Bathroom surfaces can be very slippery when wet. Keep water spray to a limited area where possible and clean up quickly. Avoiding using talcum powder (especially on tiled surfaces) which makes floor surfaces extra slippery. Be extra careful when using non-slip mats. Ensure the edges are firmly stuck down and the rubber-backed mat is held in place. Consider whether these mats create another tripping hazard—applying slip‑resistant tapes or a non-slip floor treatment to the floor and shower tiles may be a safer alternative. Install grab rails in or adjacent to the shower, bath and toilet to provide stability and support. Replace towel rails with grab rails for extra support. The hot, wet shower environment can sometimes affect balance—using a shower chair, flip‑down seat or removable stool can give extra support. Ensure soap, shampoo and towels are within reach to avoid bending or reaching. Be careful of dangerous lips/edges around the shower and eliminate if possible. Consider whether using a bath is really necessary. A clamp on bath rail, non‑slip tape and a bath hoist may make it slightly safer to get in and out of the bath. If the shower is over the bath consider a bath board or bath seat. A toilet seat raiser could be appropriate if the toilet seat is too low. Ensure beds are adjusted to an appropriate height to help you get in and out. Bed blocks may be an option if the bed is too low. Always get up slowly. Sit for a short time before standing up. Always turn a bedside lamp on before getting out of bed during the night and have a phone next to the bed for easy access in case of an emergency. A commode chair, urinal or bed pan can avoid the need to get up to go to the toilet in the middle of the night. For walking aid users, ensure that walking frames can be accessed very close to the bed. Remove or tuck away any tripping hazards like overhanging bedspreads, electrical cords, clothes or other clutter. Organise storage to reduce the need for reaching high or bending low as these actions can put you off balance. Considering sitting down on a kitchen stool when doing the dishes or preparing a meal. Use a tray mobile or trolley to carry items around. Pick up dropped food and mop up spills as soon as they occur. Put hoses, tools, toys and other objects away after use. Remove any hanging plants that could be walked into. Keep a look out for pets before moving around the garden. Repair uneven or cracked paths. Ensure lawn areas are as flat as possible. Kill moss and slime on paths. Be especially careful if the ground is frosty or wet and ensure that areas that get wet have non-slip surfaces. Ensure leaves, gravel or other debris are raked up regularly and removed. Mark the leading edge of steps with a contrasting color and install handrails. Sit down to dress. Avoid long clothing such as nighties and dressing gowns which may create a tripping hazard when standing up. Wear low-heeled shoes with rubber soles for good traction. Ensure shoes fit well, are in good repair and are free from grease or dirt. Avoid wearing socks or stockings without shoes when walking on tiled floors or polished floorboards. For those at high risk of falls, hip protectors may provide extra protection. These are plastic or foam shields worn in special underpants that protect your hips in the event of a fall. People often down play a slip, trip or fall, blaming clumsiness or error. It is important to take any fall or near miss seriously and take the time to work out what may have caused or contributed to the event. Keep up with regular health checks and keep an eye out for health problems such as poor balance, dizziness, muscles weakness, incontinence, reduced sensation in legs and feet, poor nutrition, unsteadiness or loss of confidence in walking/using steps. It is important to discuss these with a doctor to ensure any medical conditions are well managed. Continue regular exercise to help maintain supple joints, muscle strength, balance and walking ability. Be aware of vision changes and use glasses if required. If your vision is deteriorating, see a low vision advisor to recommend home modifications. If getting to the toilet on time is a concern talk to a doctor or continence nurse. 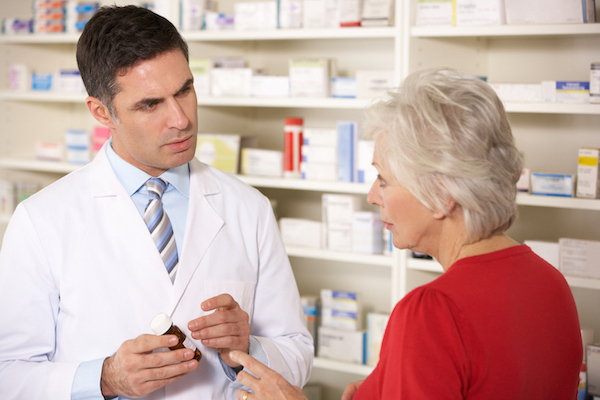 Review your medications regularly. Some medicines don’t mix, may cause nasty side effects or may be affected by alcohol. A medication reminder can assist with taking medication correctly. For those who are forgetful, there are timers that can remind them when to take medications. Ensure good access to telephones to prevent rushing. Consider getting a cordless telephone or install extra telephone extensions. Don’t rush, concentrate on tasks and take the necessary time. If you’re feeling light headed or exhausted, sit down and rest straight away. Have a plan of how to get help if a fall does occur. Avoid hazardous tasks such as standing on a chair to reach something from a high cupboard. Look at rearranging the home environment so that frequently used items are at an easy to reach appropriate height. Be aware of the implications of falling from a height and consider asking someone else to assist. Consider the direction that bathroom and toilet room doors hang—can they be opened outwards if someone has a fall inside the bathroom or toilet room? Consider the use of a mobility aid such as a walking stick or walking frame. It is important to discuss this first with your doctor. An emergency call system may help to increase your confidence and independence by helping you contact someone if a fall does occur, particularly for if you live alone. The concept of a self-propelling wheelchair to aid in mobility for those who are unable or who have difficulty walking due to illness, injury, or disability, dates back to the mid 1600’s. This design evolved over time becoming lighter, easier to use, adjustable, and more comfortable. Wood frames have been replaced with lightweight alloys such as aluminum, titanium, and carbon fiber. Wooden wheels are now made from composite materials wrapped with tires that are solid rubber, treaded, pneumatic, or flat free. Seats are now padded nylon or vinyl and are available in all sizes. Backs are fixed, adjustable, or fully recline. Arm rests flip back, are removable, and height adjustable. Even with all of the innovation and new materials used in manufacturing the wheelchairs of today, two basic principles of physics remain the same: Motion and Gravity, which often result in falls and injuries. These two principles apply when the user either forgets or is unable to secure the manual wheel locks on a wheelchair during transfers. When the locks are not used as a person attempts to sit into or stand from a wheelchair; the wheelchair, along with their seat will roll away from them, with gravity leaving nowhere to go but down. This type of wheelchair fall can easily be prevented, yet they happen every day. Those using a wheelchair are already dealing with limited mobility and an unexpected fall can cause new injuries or exacerbate the conditions that resulted in the need for a wheelchair in the first place. Falls such as this, especially to those who are elderly, most often lead to a greatly reduced quality of life as well as robbing them of living their life independently. “Aging in Place” is a term used to describe the process of adapting one’s home for the current and changing needs of aging. The primary objective of aging in place is to create a living environment which allows you to safely remain in your home independently as long as possible. A home assessment will identify risk factors within your home that may inhibit your goal of aging in place and offer a plan to resolve these issues based not only on current, but long term needs as well. One major focus of a good home assessment is fall prevention, especially in bathrooms where a fall is most likely to occur. Good lighting is essential. Grab bars, safety poles, bath seats or lifts, and slip resistant surfaces offer additional safety. Handrail systems, floor to ceiling safety poles and other types of safety railing will help prevent a fall from happening in other areas of the home. A significant amount of time and thought goes into a good plan to age in place. However, one major fall risk that often results in the same devastating impact as a fall in the bath tub and is all too often overlooked is wheelchair falls. Obviously, not all of the falls in these statistics are attributed to individuals who simply do not lock the wheels on a wheelchair, but those that are could have been prevented. As a nursing home Medical Director for over thirty years, Dr. Grady Dugas of Marion, Louisiana saw this need first hand. Having witnessed residents routinely fall and suffer injuries while using wheelchairs, Dr. Dugas made it his mission to find a way to stop these preventable falls from ever happening. His solution was to create an automatic wheel lock that would lock the wheels the moment the user stands from the seat and unlock the wheels the moment the user was safely seated. This would ensure that each and every time a wheelchair user sits in or stands from a wheelchair, there is a fixed and stable seat to sit into, or a fixed and stable base to push off of while standing. 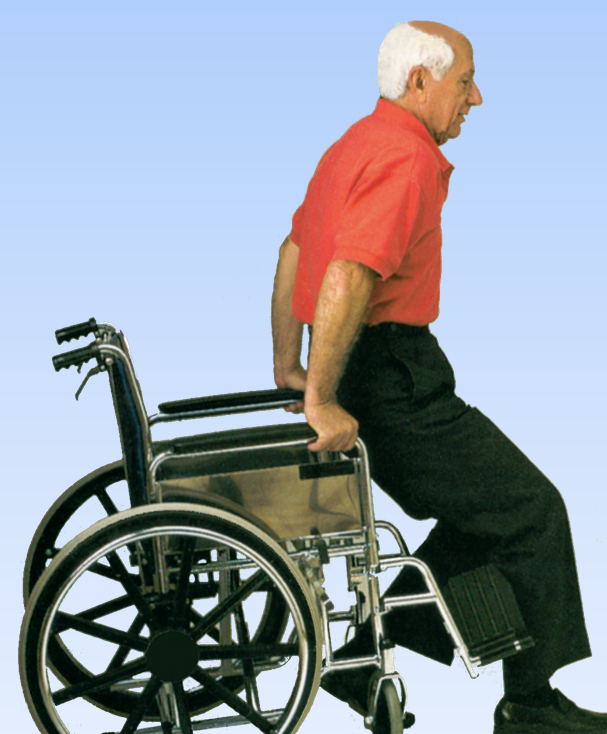 Experimenting with different wheelchair locking and fall prevention systems, he was awarded a patent in 1993. After redesigning and perfecting the system over the next six years with United Plastic Molders, Inc. in Jackson, Mississippi, a new design was patented in 1999, and Safer Automatic Wheelchair Locks, or Safer Locks, was formed. Today, with over twenty years of refinement and proven use, Safer Locks is the standard in fall prevention for wheelchair users across the country.